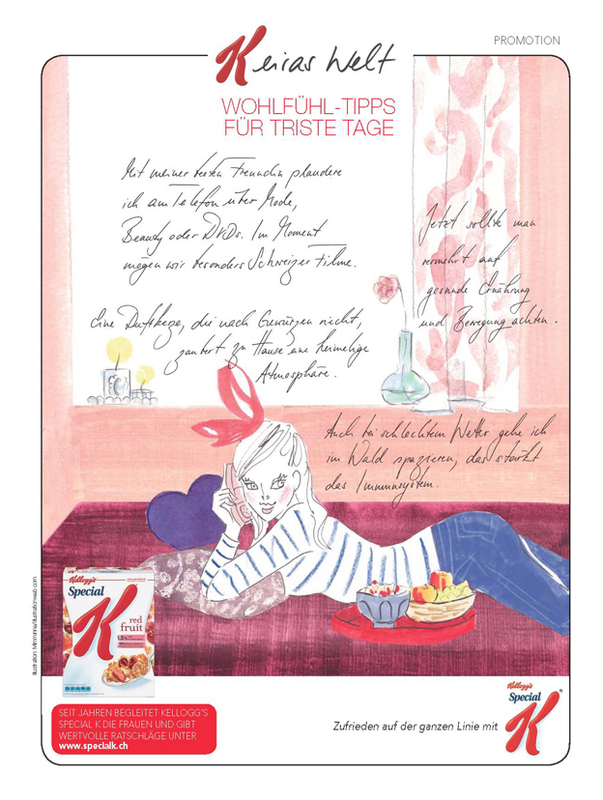 Miminne has been busy with eight consecutive editorial ads for Kellogg's. 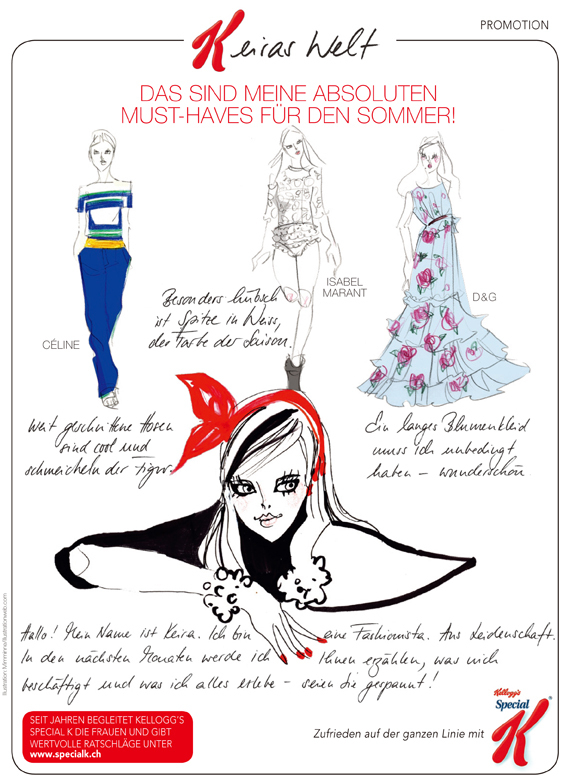 The illustrations were created for SI STYLE magazine in Switzerland, working with Art Director Barbara Pastore. 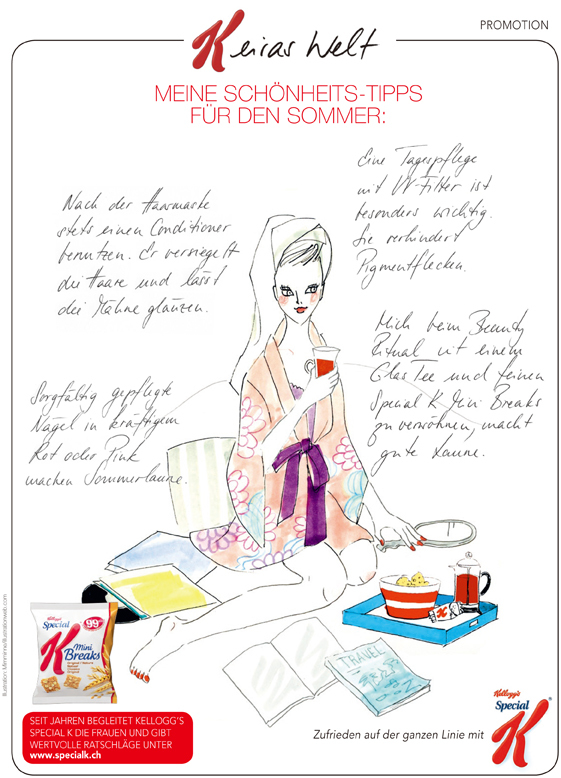 Miminne had to create a character called Keira for the Kellogg's promotional page in the magazine; a girl in her early 20's, who loves Fashion, Beauty, everything hot and new! Miminne says "When I first did sketches, I put a red bow on her head, representing a mirrored K shape, as in Kellogg's. The client was very happy with the idea, so we decided to have the bow in every issue, where possible. We also had her in different settings every month, in shoe shop, in park, in St.Tropez, in Paris, and at home. She was a happy and fun character to draw. I hope the readers enjoyed her presence, too."